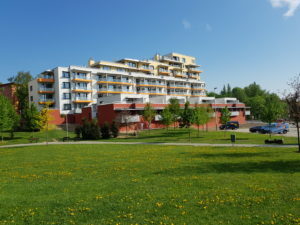 Bydlení Poruba - TRIMEX REALITY, a.s.
PORUBA – the ideal place for life. Municipal district without industrial load, projected for living with complex infrastructure. 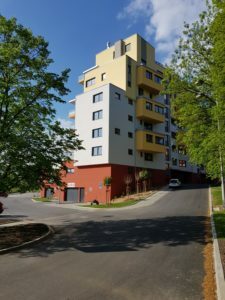 Green, free time areas, natural swimming pool, indoor and outdoor sports fields, University hospital, policlinic, a network of kindergartens, primary, secondary and high schools, shopping centres, transport network – this is PORUBA. In the immediate vicinity of the housing project its residents will find a wide range of sport opportunities, relaxing zones, such as summer swimming pools, indoor swimming pool, park areas, shopping opportunities, services, medical care, kindergartens and primary schools. 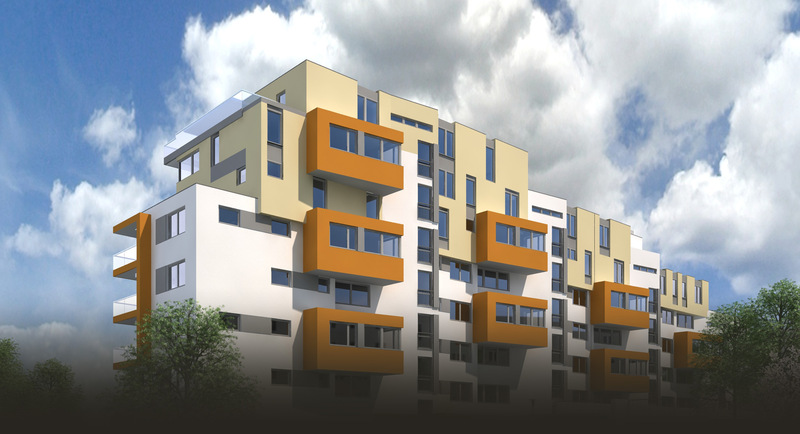 Great emphasis is placed on safety housing and securing of the flat owners property. The camera system will monitor entrances to the building and garage parking places. The electronic chip will ensure access of the owner to the building, space of cellar unit even the whole cellar. The common areas will be connected to the Centralized protection panel. We offer to the flat owners parking in separate garages, on common garage areas and on outdoor covered even uncovered parking areas. There are two parking places available almost to each flat unit. 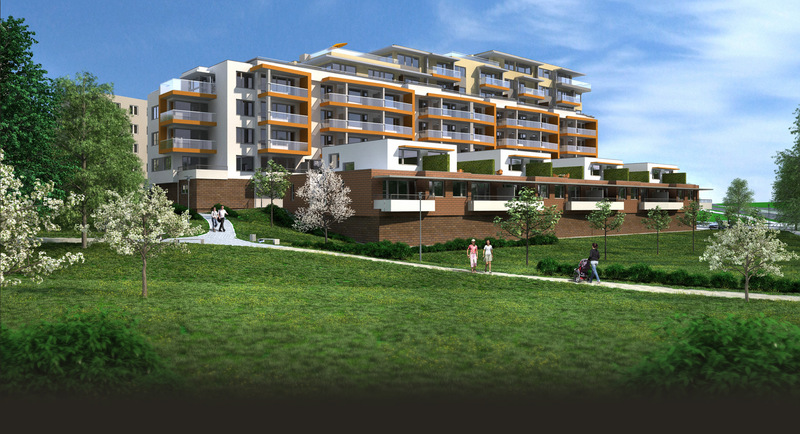 The entrance to the garage spaces will be accessible through registered phone number of a flat unit owner. First applicants for buying a flat have a possibility to choose from wide offer of facings and floor tiles, bathroom design and toilets, after passing the reservation fee. Send us a message and we will contact you and help you to choose.